If you’re experiencing earache and jaw pain along with your sore throat, there are a few possible causes that might be reason for concern. These symptoms may indicate a case of tonsillitis or its closely related cousin, strep throat. Tonsillitis is a swelling of the tonsils and can be either bacterial or viral in nature. Strep throat is a bacterial infection of the tonsils which also leads to swelling. Your tonsils are located at the back of your throat and the top of your mouth where they help filter out bacteria and prevent infections. When your tonsils encounter more bacteria than they can handle, they become overwhelmed and swell up. This swelling causes the soreness in your throat. The swelling of your tonsils often extends up from your neck and throat, into your jaw, causing swollen lymph nodes and jaw pain. Also located in your throat is the eustachian tube, which drains away the fluid from your inner ear. When your tonsils become swollen, the eustachian tube can become blocked, causing fluid to be backed up in your inner ear. This fluid buildup leads to pain in your ear. People suffering from tonsillitis often also experience a loss of voice, difficulty swallowing, fever, chills, and headaches. Strep throat victims can often experience painful swallowing, fever, headache, abdominal pain, body aches and loss of appetite. If you’re experiencing the symptoms of either tonsillitis or strep throat, visit your local FastMed and have an examination performed by one of our medical professionals. 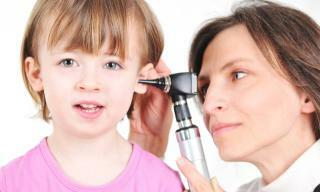 We’ll check your tonsils for any swelling and can administer a strep test and throat swab. If tonsillitis or strep throat are detected, antibiotics are typically prescribed to fight off the infection. People with recurring infections may require a tonsillectomy to remove the tonsils entirely. In the meantime, get plenty of rest, drink cold water to help ease the pain in your throat and try gargling with salt water or using a throat lozenge. You can also take Tylenol or Ibuprofen to alleviate the pain and any fever you might have.